Nissan Leaf, pictured, will be built in Sunderland, UK, for European markets from next year. SUNDERLAND, England – Nissan will give the next Leaf electric car a more European design and may lower the car's price, the carmaker's engineering chief said. "We'll fine tune the car for the European customer from a design point of view," said Colin Lawther, vice president of Nissan engineering in Europe. The Leaf won European Car of the Year in 2011, but critics have described as it looking bland and awkward. The Leaf's driving range will also be improved from 160km and the power delivery retuned to make it less jerky when accelerating, he said. Nissan launched sales of the Leaf in selected European markets where government offer EV incentives last year. Next February the automaker will begin building the hatchback in its plant in Sunderland, England, instead of importing it from Japan. Building the Leaf electric car in the UK for European markets instead of its Oppama plant in Japan will cut costs by a third, according to Nissan. 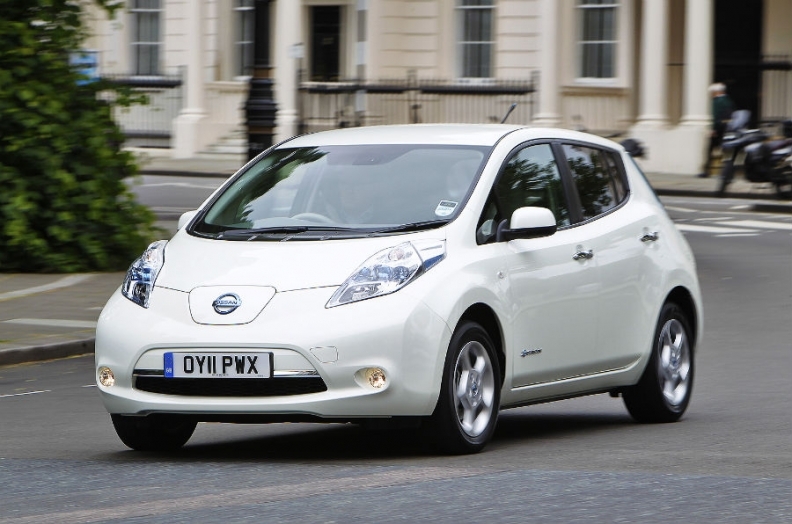 The Leaf starts at 25,990 pounds (31,148 euros, $41,597) in the UK including a 5,000-pound government plug-in car grant. The similar sized Qashqai starts at 16,495 pounds. "Obviously one of the problems is that the initial purchase price is very high," said Lawther told Automotive News Europe. "Making it in the UK will take about a third of the cost of the car out." The final purchase price hasn't been decided for the next generation Leaf. The Leaf will be built on the same Sunderland, north east England, production line as the Qashqai compact crossover. Batteries will come from a factory on the same site which has just started production. "European content will be the high 90s in terms of percentage," Lawther said. The only major item imported from Japan will be the electric motor, although the company is considering building this in the UK too. Lawther said the production cost savings will come partly from a combination of reduced logistics, lower import taxes and less exposure to the strong Japanese currency. He also said order times will be reduced by 6-8 weeks. The UK-built Leaf will be sold in Europe only. Nissan plans global production capacity for 250,000 Leafs a year at factories in Japan, England and North America. Nissan will add production of the Leaf at Smyrna, Tennessee, in the United States later this year. Leaf sales have been sluggish. So far this year the company is just 1,733 units toward its 2012 target of some 20,000 to 25,000. However Nissan CEO Carlos Ghosn told an industry audience ahead of the New York show earlier this month he is still bullish about EVs. He said: "I still believe the Renault-Nissan Alliance will sell about 1.5 million cumulative electric vehicles by 2016. Given how much our customers like their Leafs and given how early we are in the sales curve of this new technology, I have zero doubt that zero-emission is here to stay." Nissan sold 1728 Leafs in Europe during 2011, according to market researchers JATO Dynamics.